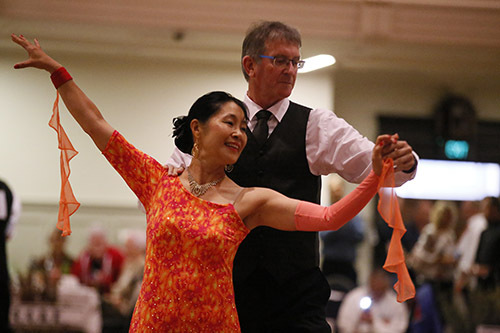 Events: Amateur Ballroom/Latin/New Vogue/Old Time 30-44, 45-54, 55-64, 65-74 and 75+. Novelty Ballroom 30-44 ONLY. Rock n Roll Slow/Fast 30-49, 50+. Modern Jive Slow/Fast 30-49, 50+. Professional Ballroom/Latin/New Vogue/Old Time 30-49, 50+. 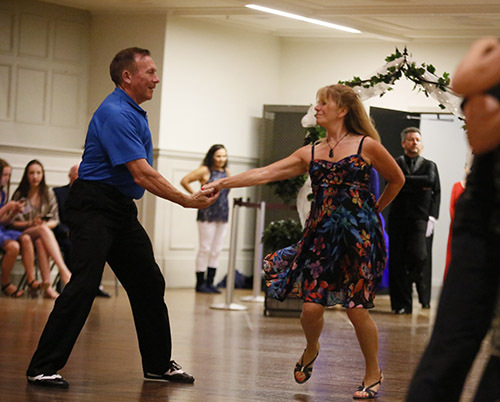 PRO-AM Ballroom/Latin/New Vogue/Old Time/Modern Jive 30-49, 50+. Special Events Formation Teams/Show Dance Couples 30-49, 50+. Full dance list is available below, or from Sports Partner. Grades: Registered, Non-Registered, Professional, Pro/Am. The couples age group is governed by the age of the younger member of the partnership. Competitors may dance in their own age group, and the one below (not applicable to Rock n Roll, Modern Jive, Professionals and PRO-AM events). Dancers entering non-registered events must not have been registered within the last 5 years. Dancers registered within the last 5 years can only enter Registered events but do not have to re-register with Council or DanceSport to compete. Teams: Must have no less than three couples and no more than six.